한국 근대기 초기에 조직된 최초의 여성단체 조이스회(Joyce Chapter) 의 부회장직을 맡은 여메례는, 조선의 여성들이 한마음으로 조선 여성을 교육하고 전도하는 일에 나선다면 조선의 문화와 언어에 미숙한 서양 선교사들보다 못할 것이 없음을 강조하며 이렇게 말하였다. 여메례는 1874년 경남 마산에서 아버지 여신서와 어머니 안 씨 사이에서 태어났는데 두 동생이 어려서 세상을 떠나는 바람에 외동딸로 자랐다. 어려서부터 남달리 총명하고 성품이 좋았던 그녀를 부모는 서울로 데려와 메리 스크랜턴 선교사에게 맡겼다. 이름도 없이 혼자 남겨졌던 그녀는 이화학당의 초기 학생이 되어 세례를 받고 메리라는 세례명도 얻게 되었는데 메례는 메리의 한자 음이다. 이화학당을 졸업한 여메례는 의료선교사 셔우드 홀 (Sherwood Hall)에게 기초의학과 간호법을 배워 최초의 여성병원 보구여관에서 간호사 겸 전도부인으로 일하기 시작했다. 1892년 배재학당 출신 황현모와 결혼하면서 이때부터 서양식 전통에 따라 그녀는 황메례로 불리게 되었다. 결혼 3개월 만에 홀로 미국 유학을 떠난 남편이 미국에 도착한 직후 사망하게 되는데 이후 그녀는 남편을 잃은 슬픔을 신앙으로 극복하며 더욱 보구여관 일에 전념하였다. 수석 간호사였던 여메례는 입원한 환자들을 간호하는 한편 전도부인으로서 환자와 병원의 직원들과 함께 매일 아침 기도회와 성경 읽기 모임을 가졌다. 매일 정오에는 약을 타러 온 이들에게 성경을 읽어주고 함께 기도하였으며, 주일 오후에는 예배를 인도하였다. 방문해야 하는 환자나 교인이 있으면 언제든 찾아갔고, 시간이 되는 대로 병원 밖으로 나가 전도에 힘썼다. 1987년 10월 31일, 정동제일교회에서 엡윗청년회( Epworth League, 오늘의 MYF) 여성지회인 조이스회가 창립되었다. 오늘날의 선교회의 모체가 된 조이스회에서 부회장직을 맡으며 여선교를 위해 헌신한 여메례는 ‘여성이 여성에게 복음을 전한다’ 는주체척인 선교의식을 확립하는데 크게 기여했다. 회원의 나이를 35세 미만으로 제한한 조이스회는 장년층의 폭넓은 선교활동에 제약이 있었다. 청년층 중심의 조이스회와 차별을 둔 장년층 대상의 보호여회가 조직된 창립과정의 중심에도 여메례가 있었다. 1900년 가을 정동교회의 담임목사인 아펜젤러 (H. G. Appenzeller) 선교사가 안식년 휴가를 맞아 귀국하게 되자 선교사에게 무엇을 선물할 것인가를 논의하다가, 본국으로 돌아가서도 자신들을 잊지 않고 기도하도록 단체 사진을 찍어 전달하기로 했다. 정동교회 여자 교우들 39명이 아펜젤러 부부와 함께 사진 촬영을 하면서 사진값으로 일 인당 20전씩을 거두었는데 그중 1원 10전이 이 남게 되어 가난한 여성 교인들을 돕는 데 쓰기로 하면서 단체를 만들게 된 것이 보호여회의 시작이 되었다. 초대 회장을 맡은 여메례는 ‘ 이회가 작정 되게 하옵시고 또 이회를 실시한 후에 주께서 머리가 되시고 우리를 가르쳐 주사 이 회가 진보케 하옵시고 이 회가 크게 흥왕하여 회우 수효가 여러 만 명이 되게 하옵소서’ 라는 내용의 기도를 드렸다. 여메례의 바람대로 오늘날 기독교대한감리회 여선교회는 100만 명의 여선교회로 성장하였다. 보호여회는 가난한 여성들을 구제하는 사업을 하는 동시에 전도와 봉사 사업도 병행하였다. 뿐만 아니라 능력 있는 여성들에게 방물장수를 할 수 있도록 자금을 지원하여 스스로 가난에서 벗어날 수 있는 길을 찾도록 적극적인 도움을 주었다. 여메례는 교회 안에서 뿐만 아니라 일반 사회에서도 여성 지도자로서 두각을 나타내었다. 1900년 이후 이화학당의 교사로, 1906년 고종 황제의 계비 엄비가 진명여고를 세울 때는 학감으로 초빙되어 학교 운영의 실질업무를 맡기도 했다. 그러나 1910년 일제 강점 후 진명여고는 일본인의 손에 넘어가게 되고 교육활동은 중단되었다. 시국의 아픔 속에서 방황하던 그녀는 독립협회를 중심으로 애국 계몽운동을 펼치던 양흥묵과 재혼하였지만 몇 년 만에 남편이 세상을 떠나는 불운을 겪게 된다. 이후 경성 성서학원을 졸업하고 성서학원 교수와 성서학원 여자부 사감을 거쳐 목회 일선에 나설 때 그녀의 나이 60세였다. 1933년 2월 27일 하나님의 품에 안길 때까지 전도사로서 농촌교회를 섬긴 착한 여종 여메례는 기독교 신앙 안에서 자신을 갈고닦아 한국 교계와 교육계에 큰 발자취를 남긴 선각자였다. Merye Yeo, the vice-president of the Joyce Society, the first women’s organization in the early modern era of Korea, said and emphasized that, if the women of the Chosun dynasty educated themselves with purpose of mission, they would not be far behind than the Western missionaries who are unfamiliar with Korean culture and language. Merye-Yeo was born in Masan, Gyeongsangnamdo, in 1874. Her father’s name was Shinsuh Yeo and her mother’s maiden name was Ahn. She was raised as an only child after the death of her two younger siblings. She was very bright and good natured from early age. 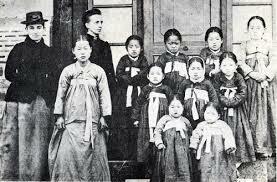 Later her parents took her to Seoul and left her to Mary Scranton, a missionary. She was left alone without a name, and was baptized as an early student of the Ewha School. That is how she received a baptismal name, Mary. Merye is Chinese pronunciation of Mary. Mary graduated from Ehwa School and learned basic medical science and nursing from Sherwood Hall, a medical missionary, and began working as a nurse and evangelist at Bogue Yeokwan, the first women’s hospital in Korea. In 1892, after marrying Hwang Hyeon-mo from Bae Jae Shool, she followed the Western tradition and was renamed as Merye-Hwang. Unfortunately, her husband passed away only three months after their marriage while studying in the United States. Afterwards, she devoted more of her time to faith in order to overcome her sorrow. Merye-Yeo was a top student, became a nurse, and took care of patients in hospital. Also, as a Bible Woman, she led prayer meetings and Bible study every morning for the staff and patients of hospitals. At noon every day, they read the Bible and prayed together with those who came to take medicine, and on Sunday afternoons they had worship service. Whenever there was a patient or a church member to visit, they went out of the hospital for evangelism. On October 31, 1987, the Joyce Society, Epworth League (today's MYF) women's branch, was founded at Jeongdong First Church. As a vice-chairperson at the Joyce Society, which became the mother of today's missionary community, she devoted her life to missionary work and contributed greatly to establishing the main idea of "women delivering the gospel to women." The Joyce Society, which limited its membership to under 35 in age, restricted the wider missionary activities of the older people. At the heart of the founding process was the establishment for the older women generation (Bohoyeohye), which is different from the Joyce Society in the youth center. In the fall of 1900, H. G. Appenzeller, a pastor of Jeongdong Church, returned home for a sabbatical leave. After discussing what to present to the missionary, they decided to take a photograph of the group with hopes that they would not forget after returning to their hometown. 39 members of the Jeongdong Church collected 20 pennies per person for a photograph with the Appenzeller couple. After paying for the photo, they only had a dollar and ten pennies left, and decided to donate the money to the poor women members. This became the starting point of Korean methodist women. Merye-Yeo became the first president of Bohoyeohye. She continuously prayed, “May this Society be established, may the Lord be the head of it and teach us, may the Lord bless this organization so it can prosper with tens and thousands of membership.” Fortunately, Mye-rye’s prayers were answered. Today, KWSCS(Korean Women Society Christian Service) has grown to one million in membership. Bohoyeohye provided relief for poor women while at the same time carrying out evangelism and service projects. In addition, it provided financial support to women so that they will find ways to escape from poverty. Merye-Yeo showed her leadership not only in the church but also in the general society. Since 1900, she was a teacher of Ewha School, and in 1906, Emperor Gojong’s imperial guard invited her into the academy for the real work of school administration. 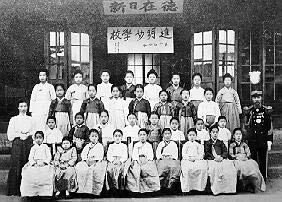 However, after the Japanese occupation in 1910, Jinmyeong Girls’ High School fell into the hands of the Japanese, and education and all the activities were forced to cease. When Merye-Yeo was wandering in the pain of the loss of her country, she remarried Heungmuk Yang. However, soon after the marriage she experienced a misfortune of her husband’s passing. After graduating from the Gyeongseong Bible Academy, she became a professor at the same school. She was 60 years old at the time. Merye-Yeo, who served as a missionary in the rural church of the Chosun Dynasty, worked faithfully until her death on February 27, 1933. 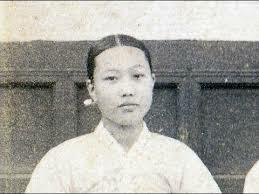 She was a pioneer who left a great mark in the history of Korean Church in the name of the Christian faith.